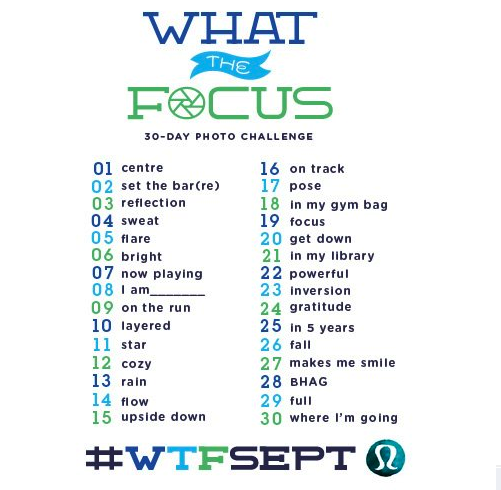 In honor of the Lululemon photo a day challenge What The Focus September or #wtfsept, I thought I’d play along here on the blog. I have pretty much zero inspiration for 80% of the words listed so far but I’m hoping i’ll get some in the moment inspiration and will post a little something for each word of the day (and hope you’ve forgotten if I miss one or two). Today’s word is Centre and so I thought to post this photo of my daughter on her first day of Circus School trying to find her centre and balance. 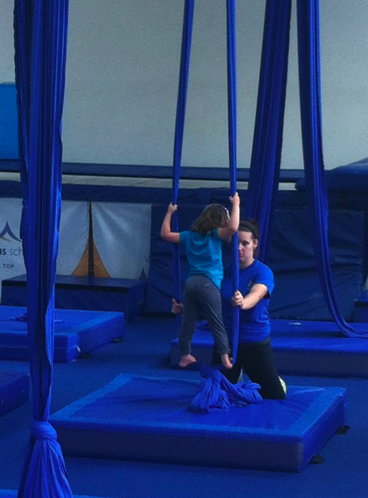 She was learning Aerial silks and having such a great time. "Spotted in Lululemon: Emily Blunt"